The photo shows the GNV ferry EXCELLENT, which collided in October with the quay in Barcelona in extreme weather conditions. She also hit a gantry crane that collapsed and took fire. 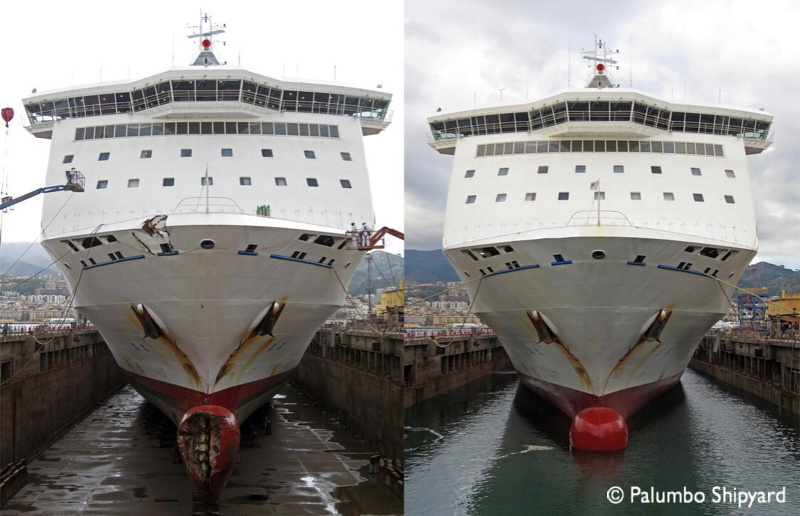 The ferry has now been repaired by the Palumbo shipyard in Messina.